Novak Djokovic sealed his second Masters 1000 title of the year by defeating Frenchman Richard Gasquet in straight sets. After facing break points in his first service game that were not taken, he took control breaking Gasquet on all three occasions he had a break point. Djokovic was dominant on serve throughout and dropped just eight points on his serve on the way to a 6-3 6-2 victory. This win means that Djokovic does not suffer any points hit as he defends the title that he took in 2011 where he beat Mardy Fish. Djokovic only dropped one set on his way to the title here, in the quarter finals against Germany’s Tommy Haas. Second seeds Bob Bryan and Mike Bryan carried on their excellent form picking up the Doubles title just a week after doing the same at the Olympics. The brothers dropped just one set on their way to the trophy, as they defeated Marc Lopez and Marcel Granollers 6-1 4-6 12-10 to make it five titles on the year. Petra Kvitova finally took her first title of the year in Montreal in an enthralling encounter with Na Li, defeating the Chinese star 7-5 2-6 6-3. Kvitova had gone down an early break in the first before reeling off four games in a row to serve for the first set. She could not do so and was pegged back to 5-5. Li eventually buckled under the pressure of serving to stay in the set as Kvitova broke in the twelfth game of the set to take the first. With the set in Kvitova’s pocket, one would expect that she had the momentum but that was not to be the case with the Czech dropping the first SIXTEEN points of the set to quickly drop into a 0-4 hole. Kvitova recovered slightly but Li eventually took the set 6-2. Kvitova’s serve reappeared in the third set as she was never in danger and after breaking for a 4-2 lead never looked back sealing the third set and with it, the championship and 900 WTA ranking points. The Doubles title was taken by the surprise package of Klaudia Jans-Ignacik and Kristina Mladenovic. The pair defeated their more storied counterparts Nadia Petrova and Katarina Srebotnik in a tight encounter 7-5 2-6 10-7. The title is their first as a team and Mladenovic’s first on the WTA Tour. Due to the Olympics, Toronto has suffered a big number of withdrawals including Roger Federer, Rafael Nadal and David Ferrer. The field still does contain three of the four semi finalists though, with Andy Murray, Novak Djokovic and Juan Martin Del Potro scheduled to play at the time of writing. Favourites – With such a depleted field in terms of the top players, the two big favourites are clear. Defending champion Novak Djokovic has not quite been showing his 2011 form with two recent semi final exits on the grass but is still a huge danger. The Australian Open champ has only lost twice on hard courts this year to Andy Murray and John Isner, both of which reside in the other half of the draw. Andy Murray will be big on confidence after taking the Gold Medal and defeating Roger Federer with such ease. Murray did not take a hard court title post-Australian Open but was twice a finalist losing to Federer and Djokovic in Doha and Miami respectively. The draw appears to favour Murray, with the top seeds in his half being an out-of-form Tomas Berdych, Juan Monaco and John Isner – who Murray always performs well against. While both players fitness is in question after record breaking matches at the Olympics, Juan Martin Del Potro (match length in minutes) and Milos Raonic (match length in games) are dark horses for this tournament. Raonic will be hoping for an excellent tournament in his home country, and has a nice route to the final if he can defeat the No.2 seed Andy Murray in a potential Round 3 clash. While Murray has dealt with big servers well in the past, Raonic will take heart from his victory on the clay in Barcelona earlier this year. Raonic has some extraordinary serving stats this year, topping the aces count as well as winning the highest percentage of service games this year. Meanwhile, Juan Martin Del Potro looks somewhat back to his best after an excellent Olympics in which he picked up the bronze medal after defeating Novak Djokovic in straights. While often thought of as just a forehand, the tall Argentinian showcased it all in the latter stages as possibly should have beat Roger Federer in the semi final. After a long time out with injury, Del Potro finally looks like he is ready to take on the top players again. The last eight Toronto Masters titles have been shared equally by the top four players – Roger Federer (04,06), Novak Djokovic (07,11), Rafael Nadal (05,08) and Andy Murray (09,10). Novak Djokovic has winning records against all of the other top 8 seeds – though John Isner, Juan Martin Del Potro, Janko Tipsarevic and Andy Murray have all defeated him in their last encounters. For a more detailed preview of the tournament check out the write up I did for Stevegtennis here. Andy Roddick recovered from a dreadful first set to take the Atlanta title against Gilles Muller. Roddick took a mini-break in the first point of Muller’s serve in the tiebreak and never looked back, breaking the Luxembourger twice in the third set to earn the victory 1-6 7-6(2) 6-2 for his second title of the year. Roddick and Muller both served huge, with the pair hitting 18 and 20 aces respectively. Meanwhile the doubles title was won by Matthew Ebden and Ryan Harrison, the duo earned their second doubles title as a team (Newport ’11 first) by defeating Xavier Malisse and Michael Russell in three sets 6-3 3-6 10-6. 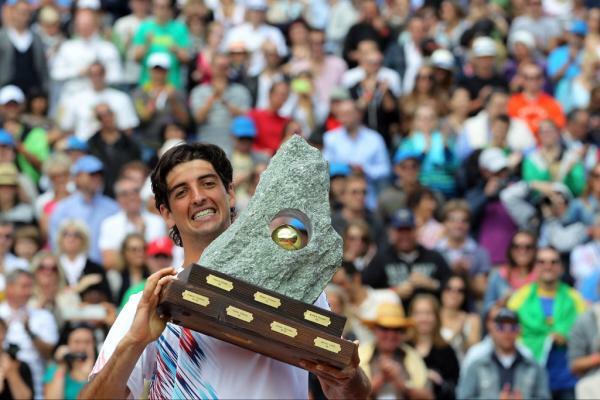 Thomaz Bellucci gained revenge for his defeat against Janko Tipsarevic a week ago in Stuttgart by defeating this Serb in this week’s final in Switzerland. After an incredible double fault to gift away the first set, it looked like Bellucci may falter once more but this was not to be the case as Bellucci took control of the match, breaking to love at 5-4* up in the second set to take it. Bellucci started the third set fast, and broke in the first service game of Tipsarevic’s and never looked back as he earned his second title of the year (Braunschweig Challenger) with a (6)6-7 6-4 6-2 victory. The doubles were taken by the Spanish pairing of Marcel Granollers and Marc Lopez who didn’t drop a set through out the whole tournament. Granollers and Lopez beat Robert Farah and Santiago Giraldo 6-4 7-6 to add the Gstaad title to the Rome title they earned a few months back. 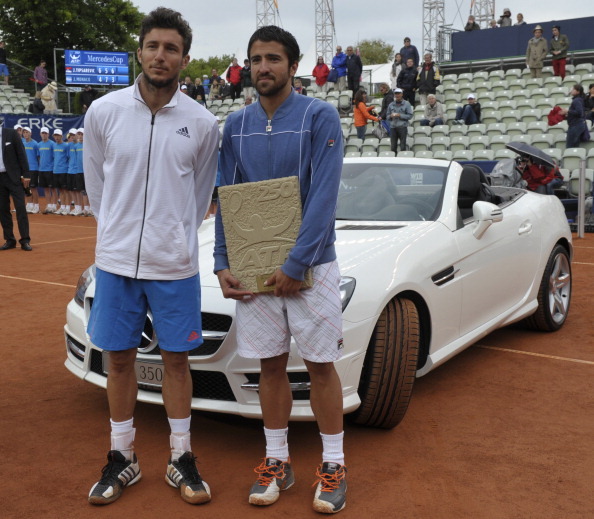 Another to recover from being defeated by Janko Tipsarevic last week is the losing finalist Juan Monaco who took the Hamburg title with victory over Tommy Haas. Monaco had a slow start, going down a break to the German early on, but made an excellent comeback to win the set 7-5. The second set was fairly similar as the pair traded breaks, including in the seventh and eighth games of the set before Monaco finally served it out, winning the last two games of the match for a 7-5 6-4 victory. Fernando Verdasco and David Marrero earned their fourth title of the year (Buenos Aires, Acapulco, Umag) as a duo with a 6-4 6-3 over the pair who only made it into the draw as alternates Rogerio Dutra Silva and Daniel Munoz-De La Nava. Again, with the Olympics ongoing, a fairly weak draw appears in Los Angeles headed by a surprising No.1 seed in Benoit Paire. Finalists from last year Mardy Fish and Ernest Gulbis do not appear, with Fish skipping this week (also picked up an injury in Atlanta) and playing Washington next week while Gulbis has chosen to play in Kitzbuhel instead. Sam Querrey heads the list of Americans hoping to pick up a title. Favourite – Were in not for the injuries he had suffered in the past year doing damage to his ranking, I think Sam Querrey would have been No.1 seed here. Most likely though, an fully fit Querrey would have been highly ranked enough to be at the Olympics rather than here! The American is a two times champion here (2009, 2010) but was unable to compete last year. With a serve like Querrey’s fast hard courts will suit him and he can take advantage of a weak draw. Outsider – James Blake is another who has been suffering from injuries recently, only gaining one victory on the tour in seven attempts. However, this victory was in his most recent outing in Atlanta, shocking the No.6 seed Ryan Harrison in three sets. He still possesses the monster forehand that brought him so much success in earlier years, but is perhaps a little more inconsistent with it. If it gets going again here, he can dictate many of the rallies as he did in the later stages against Harrison. The only issue may be is a potential shoulder injury which affected his serving at times in Atlanta. One To Watch – Igor Sijsling is yet to make any impact on the ATP World Tour with only 17 matches in three years but the Dutchman has come off a good run of form that includes a third round appearance at S’hertogenbosch where he defeated Jarkko Niemenen and Olivier Rochus before being sent crashing down to earth with a battering from eventual champ David Ferrer. More recently, Sijsling showed good hard court form in Granby Challenger where he lost in the final to Vasek Pospisil. Los Angeles Open is one of the oldest tournaments on the tour, having been held every year since 1927. Only two seeds (Querrey, Malisse) have a ATP World Tour title in their careers. Only Bjorn Phau of the seeds has defeated Sam Querrey in their career. The clay court season ends on the main tour here in Kitzbuhel, Austria. Again, with the Olympics the draw is much weaker than usual but is headed by two top 25 Germans in Philip Kohlschreiber and Florian Mayer and two capable Spaniards in Guillermo Garcia-Lopez and Albert Ramos. Favourite – No.1 seed Philip Kohlschreiber possesses an 8-5 record on the year, and more importantly has already picked up a title in Munich, where he defeated Marin Cilic in the final. While it is clear that the German’s game suits faster surfaces, he is clearly a competent clay player against the standard of players in this draw and is coming off a good run of form having made the quarter finals at Wimbledon. Much like many other players, the thought of the Olympics may be in the back of his mind and so an early exit is possible. Outsider – This will not be an issue for Guillermo Garcia-Lopez, who has dropped in the rankings recently after a poor 2011. 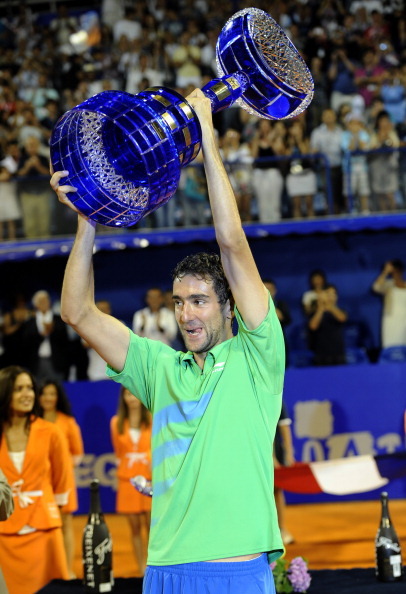 The Spaniard took the Kitzbuhel title in 2009 defeating Julien Benneteau but has not played here in the past two years. Most recently, Garcia-Lopez had a good run in Stuttgart where he made the Semi Final, only to be defeated by Juan Monaco in a thrilling three set encounter – having came back from 5-0 down in the third to tie it up, only to drop the set 7-5. He has a good chance of going far if he can keep up the level he showed in Stuttgart. One To Watch – A four times Hungarian National champion, Attila Balazs made quite a splash in his first tour event of the year in Bucharest, making the semi final as qualifier where he was defeated by Fabio Fognini. However on the way, he recorded impressive victories over Xavier Malisse, Lukas Lacko and Potito Starace. At the lower level, he has picked up numerous clay titles but is yet to make the step up so much on the Challenger circuit. However, as his Bucharest run showed, he appears to be a momentum play and having gone into the tournament on a three match winning streak to make the first round, he has potential to do damage again and could draw worse than wildcard Martin Fischer. 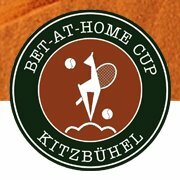 Kitzbuhel was a ATP 500 event until 2008, an ATP 250 event in 2009 and 2011, but a Challenger Tour event in 2010 where it was won by Andreas Seppi. Ernest Gulbis is the only seed not to have won a title on clay, be it ATP World Tour or ATP Challenger Tour. Martin Klizan against Dominic Thiem is a battle of two former French Open junior finalists. Thiem was a loser in 2011 while Klizan picked up the trophy in 2006. David Ferrer extended his winning record over Nicolas Almagro to 11-0 with an easy straight sets victory 6-2 6-2. Ferrer only faced one break point through out the whole match and was always in control breaking Almagro twice in each set including the final game of the match. In the doubles Robert Lindstedt and Horia Tecau eased a little bit of the heartbreak of losing another Wimbledon final by taking the title, defeating second seeds Alexander Peya and Bruno Soares 6-3 7-6(5). Janko Tipsarevic picked up his first title of the year with a far from straight forward victory over Juan Monaco in Stuttgart. The Serbian failed to take a break point for a 6-4 5-0 and was consequently pegged back to 4-4. Serving to stay in the set at 5-6, Tipsarevic made silly errors gifting the set away. With all the momentum seemingly in the Argentinian’s favour, Tipsarevic broke three times in the third set to take the match 6-4 5-7 6-3. The Doubles title was taken by Jeremy Chardy and Lukasz Kubot who convincingly beat Michael Mertinak and Andre Sa 6-1 6-3. Marin Cilic defeated Marcel Granollers in straight sets to make up for his 2011 final defeat. Cilic came back from a 4-2 deficit in the first set, reeling off four games in a row to take the set. A break early in the second saw Cilic take control and despite a minor blip in failing to serve the match out at 5-1, he broke back straight away winning in 92 minutes 6-4 6-2. Granollers didn’t fare much better as an all Spanish final in the doubles saw David Marrero and Fernando Verdasco defeat Granollers and Marc Lopez 6-3 7-6(4). 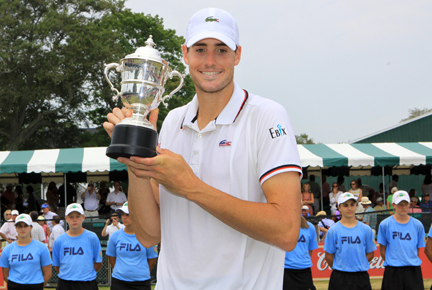 Another dominant serving display saw John Isner defend his Newport title beating Lleyton Hewitt 7-6(1) 6-4. The first set saw no breaks of serve, and after that Isner took control in the tiebreak dropping just one point. An early break at 1-1 in the second was enough for Isner to hold on to for the remainder of the match, with his 16 aces certainly a big help. Santiago Gonzalez and Scott Lipsky took the doubles title with a 7-6(3) 6-3 victory over Colin Fleming and Ross Hutchings, breaking in the vital eighth game of the second set to earn the opportunity to serve it out which they did to 30. Sara Errani took yet another WTA International title with a 6-1 6-3 victory over Barbara Zahlavova Strycova. An excellent performance from Errani in the 25 minute first set saw Errani drop just 1 game and break her opponent twice while managing a 96% first serve percentage (24/25) facing zero break points. The second set was slightly tougher as Errani dropped two service games but was never in danger of losing the set, sealing the victory by passing a helpless Strycova at the net. Strycova fared much better in the Doubles taking the title alongside partner Renata Voracova with a 7-6(5) 6-4 victory over Darija Jurak and Katalin Marosi. 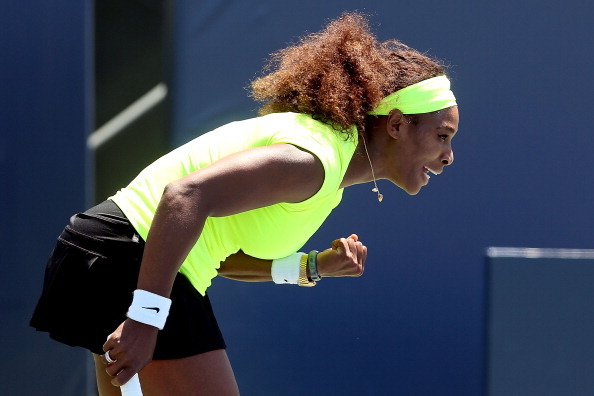 Serena Williams fought off a spirited Coco Vandeweghe to win the Stanford final 7-5 6-3 for the second time in a row. Williams was *3-5 0-30 down before taking the first set and fought off a set point to win the first despite an unconvincing performance in the set. Williams took full control in the fourth game of the second set breaking to love. At 4-1 30-0 on Vandeweghe’s serve, the potential for a breadstick was looming but she held on and forced Serena to serve for the match at 5-3 which she did to 15, finishing off with a forehand down the line. In the Doubles Jarmila Gajdosova and Vania King suffered defeat to Marina Erakovic and Heather Watson 5-7 (7) 6-7. The pair came from a break down in the first set and saved set points in the second to win in straights. It’s another packed schedule this week, with three mens tournaments to look at. The North American hard court swing carries on with ATP Atlanta while the European clay courters move on to Gstaad and Hamburg complete the clay trio. Former multiple winners of this tournament include Roger Federer and Rafael Nadal but since it’s demotion from a Masters 1000 to an ATP 500, the German tournament has struggled to attract the very best names. In 2010, the tournament was won by the unseeded Kazakh Andrey Golubev but a fairly strong set of seeded players make it seem unlikely that such an event could happen again. Favourite – Nicolas Almagro is one of the best clay courters around, but unfortunately suffers from being from a country where he is considered probably 3rd best on the surface! Thankfully, neither of his compatriots David Ferrer (who defeated him once more to earn the Bastad title and make it 11-0 head to head) or Rafael Nadal will be taking part in the tournament this week. Almagro repeated wins last year in Nice and at the Brasil Open for his two titles this year and also made the final in Buenos Aires where he was defeated by Ferrer once more. A finalist last year, I think Almagro has improved enough to have a great chance of winning it all. Outsider – Fresh from a successful trip in Umag, where he picked up the title in his home country, Marin Cilic can go deep again here. The Croatian will feel he has been placed in the kinder side of the draw with Viktor Troicki a potential quarter final opponent. Cilic appears to be feeling no ill-effects from his Wimbledon run which included the epic 5hr30 third round encounter with Sam Querrey. Although often inconsistent, Cilic is hard to write off when he gets into a run of a form as he has done the past month. One To Watch – A former French Open Boys winner, Martin Klizan has finally made the breakthrough to the main tour after a successful year winning three challenger events and making the final of another. Klizan qualified for the French Open directly through his ranking – the first time he has done so for a slam in this way. He suffered a defeat to Nicolas Mahut in the second round but put up a decent enough fight to show he could be a threat at this level. Only Rafael Nadal (36) and Juan Carlos Ferrero (13) possess more clay court titles than Nicolas Almagro (12) of active ATP players. All 4 top seeds possess at least one clay title this year. Atlanta is a fairly new tournament on the tour, having been moved from Indianapolis only two years ago. Mardy Fish and John Isner have competed in the final both times with Fish coming out on top both times. These two lead a strong field which also includes two-times Indianapolis winner Andy Roddick. Favourite – Having suffered from major health problems Mardy Fish appears to be back to near his best after a fairly impressive Wimbledon display where he made the fourth round and gave eventual semi-finalist Jo-Wilfried Tsonga a big scare. Having won this tournament twice before, he has to be the pre-tournament favourite, especially with the 3-0 hard court record he holds over second seed John Isner. Outsider – With many writing him off after a poor season to date, there have been some calls for Andy Roddick to perhaps retire. 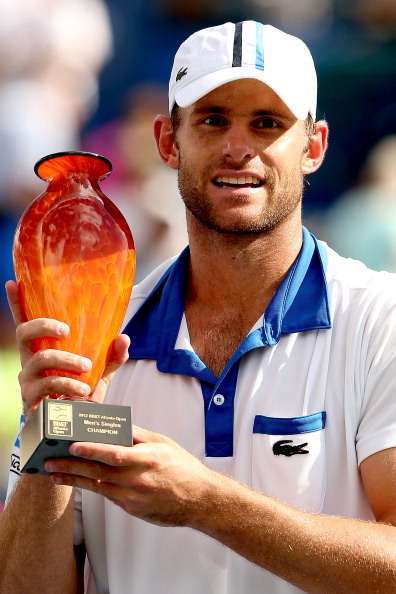 Roddick silenced some of the doubters for at least a while with a strong performance at Eastbourne where he picked up the title as a wildcard. He continued this impressive showing with almost two sets of great grass court tennis against David Ferrer before the Spaniard eventually battled through in four sets. While clearly the former world No. 1 is way below that level, the serve and forehand can still be a big threat on these hard courts and it is silly to write him off. One To Watch – The story of Brain Baker has been an inspiring one. The former Junior star fought back from terrible injuries and after coming out of retirement last year has been on an excellent run to make the Top 100. A fourth round appearance as a qualifier at Wimbledon showed just what this American is capable of. He has been handed a wildcard here and it will be interesting to see how he shapes up against some of the more established Americans if he can make it that far. He faces Igor Kunitsyn in the first round here. John Isner is one of only two players to have reached the 300 aces barrier this season on hard courts, the other being Milos Raonic. While the Swiss tournament does not get an appearance from now No. 1 and former winner Roger Federer, his fellow countryman Stanislas Wawrinka and Janko Tipsarevic lead a fairly weak field. The draw suffers from the withdrawal of David Ferrer so it will be up to Marcel Granollers to lead the charge of the Spaniards here as No.2 seed. Favourite – Both the top seeds Marcel Granollers and Janko Tipsarevic have a fair case for being seen as the favourite. Granollers is coming off a final appearance in Umag and won Gstaad last year defeating fellow Spaniard Fernando Verdasco in the final. Meanwhile top seed Tipsarevic is also following up a final appearance last week, having taken the Stuttgart title in three sets. Tipsarevic managed to shrug off the loss off a second set when 4-0 and break point up to defeat Juan Monaco in three sets. Outsider – While yet to pick up his first ATP Tour title, Santiago Giraldo was a regular victor on the challenger circuit before he made the step up. Giraldo has reached the Bogota Challenger final and faces Alejandro Falla tomorrow so will be high on confidence coming into the tournament. One To Watch – Swiss-Finnish Wildcard Henri Laaksonen is a former French Open Boys semi finalist, in 2009 as a 17-year old. Laaksonen was close to qualifying last week for Bastad but was defeated in the final qualifying round by Ivo Minar – who went on to push Nicolas Almagro extremely close. Mikhail Youzhny possesses winning records over 5 of the other 7 seeds, having never played Bernard Tomic and a 2-4 record against Feliciano Lopez. With Wimbledon over, the ATP and WTA tours have a hefty schedule this week with six tournaments over three surfaces and two continents. From the hard courts in Stanford to the clay courts of Umag and Palermo and even the continuation of the Grass season in Newport, there is plenty to look forward to this week. Often seen as an afterthought in the short grass season, Newport was always likely to generate more interest this year with the chance to provide extra practice for the Olympic Games. Kei Nishikori, Milos Raonic and John Isner top a fairly strong field. Favourite – With John Isner’s decidedly dicey form over the last few months, it is fair to say that Milos Raonic is the favourite to win the tournament. Raonic is topping many of the service stats on the tour this year and the surface will suit the young Canadian’s game. Outsider – Showing signs of the form before his injury is Sam Querrey, the former finalist is unseeded here but can go far – he is in what many would perceive to be the favourable side of the draw away from John Isner, Milos Raonic and Gilles Muller. One to Watch – Another returning from injury is US Open Mixed Doubles Champion Jack Sock, the 19 year-old has been handed a wildcard and will face Igor Kunitsyn in the first round. With two other European clay tournaments to compete with, Bastad looks to have suffered the most competition wise with 8th seed Ungur being ranked only 81st, however David Ferrer and Nicolas Almagro ensure there is some top level quality at the Swedish tournament. The currently inactive Robin Soderling is unable to defend his crown here. 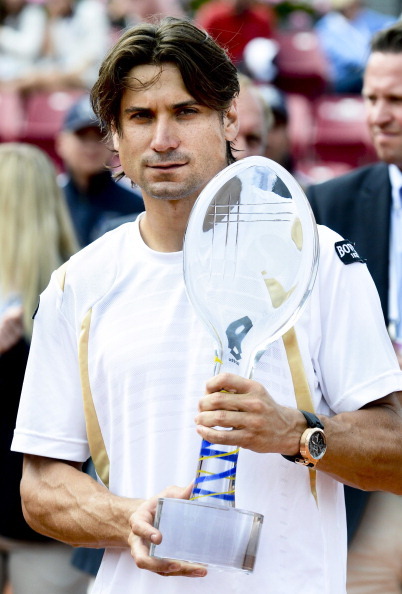 Favourite – Arguably one of the best clay courters outside of his fellow countryman Rafael Nadal, David Ferrer looks certain to take this, he possesses a 10-0 head to head record over Nicolas Almagro. Outsider – Grigor Dimitrov is another who has promised so much in his early years but as of yet has failed to deliver. A generous draw could see him making the Semi-Finals here where he would expect to face No.1 seed David Ferrer. One to Watch – Tommy Robredo is back after a long spell out with injury, and full of confidence after taking Milan challenger a few weeks ago. However, he did withdraw from Braunschweig last week but hopefully it was just for precautionary measures than anything serious. Stuttgart possesses a slightly stronger field led by the likes of Janko Tipsarevic and Juan Monaco as well as two former top 5 players in Tommy Haas and Nikolay Davydenko. 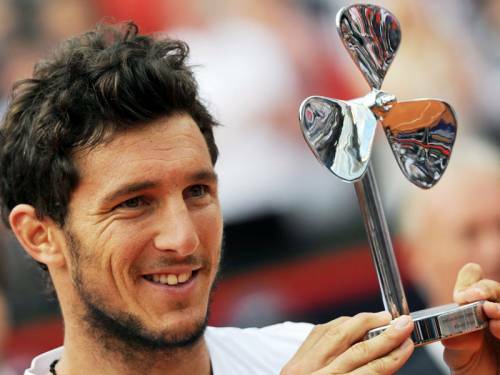 Favourite – Juan Monaco is another who looks at his best on clay with 2 titles to his name this year and despite not being No.1 seed is in my view the best player in the tournament with a great chance to make it three tournament victories for the year. Outsider – Tommy Haas has found a new lease of life recently taking the Halle title and beating Roger Federer to go with it. The former World No.2 can definitely still be a threat in a three set format but has not won a clay title since 2004. One to Watch – It will be interesting to see how Lukas Rosol fares the week after his giant-killing of Rafael Nadal. Many expect to see him revert to the form that sees him around No. 100 in the world but perhaps the victory will give him newly found confidence. Favourite – No.1 seed Fernando Verdasco has gone two years without a title now but has a good chance to end that here. He was unfortunate enough to bump into David Ferrer in his last clay-court final but will not be so unlucky here. The Spaniard has obvious talent as shown by his recent victory over Rafael Nadal but mental issues often hold him back. Outsider – Carlos Berlocq has shown great improvement over the past year, including reaching a personal high of No.37 in the rankings, only one spot above his current position. A regular winner on the Challenger Tour last year, Berlocq has made the step up and was unfortunate to suffer defeat in his only tour final to date in Vina del Mar. One to Watch – Aljaz Bedene of Slovakia has been slowly making a name for himself on the Challenger Tour picking up three titles on clay this year but as of yet, has been unable to make the step up to the main tour. Hosted at the University of Stanford’s tennis complex, the Bank of the West Classic is the oldest women-only event on the tour. The outdoor hard court tournament is also the first tournament in the US Open Series and the field is led by Serena Williams with Jelena Jankovic and Marion Bartoli amongst the big names. Favourite – If her exploits at Wimbledon do not lead to a withdrawal, then it is incredibly difficult to see past Serena Williams defending her title. She is serving incredibly well and in this form will be hard to break, never mind defeat over a three set match. Outsider – Marion Bartoli made the final here last year and looks the superior player in the bottom half of the draw. Any slip up from Serena and she will be sure to take advantage. One to Watch – Nicole Gibbs is a decorated athlete at college level with numerous NCAA awards as well as being the 2012 Womens’ Champion while representing Stanford. She can earn a second round tie with Serena Williams if she defeats Noppawan Lertcheewakarn in the first round here. New no.2 Agnieszka Radwanska withdrew from Palermo after making the Wimbledon final making Sara Errani the top seed above compatriot Roberta Vinci. Defending champion Anabel Medina Garrigues also appears in the draw and is seeded No. 4. Favourite – Sara Errani is an excellent clay court player and against all but the elite achieves very good results as shown by picking up tournaments in Barcelona, Budapest and Acapulco before her shock final appearance at Roland Garros. Outsider – A five time winner of the tournament, it is hard to rule out Anabel Medina Garrigues, results indicate that she enjoys it a lot here and will likely go far again with an expected semi final between herself and Errani where I would think the winner would go on to become champion. One to Watch – Yulia Putintseva is a promising Kazakh prospect, but will be disappointed at her recent result in nearby Biella where she was disposed of easily by Barbara Zahlavova-Strycova in straight sets. In less recent form, she did pick up an ITF 100k title in May which led her to her highest ranking of 122. If not for the tennis, she will be one to watch here for her famous tantrums!